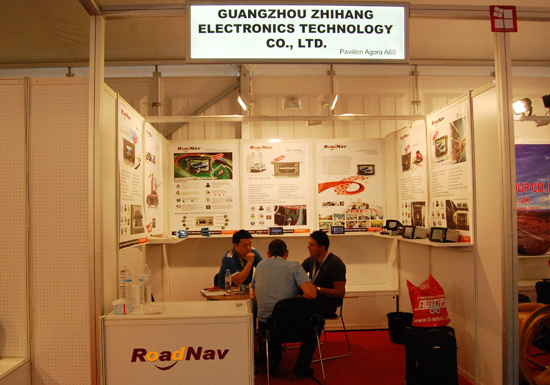 Guangzhou Zhihang Electronic Technology Co., Ltd. is always focusing developing international market. To improve the brand competitiveness, new brand RoadNav is launched, with great expectation. Its S100 new platform , is so welcomed by oversea customers. 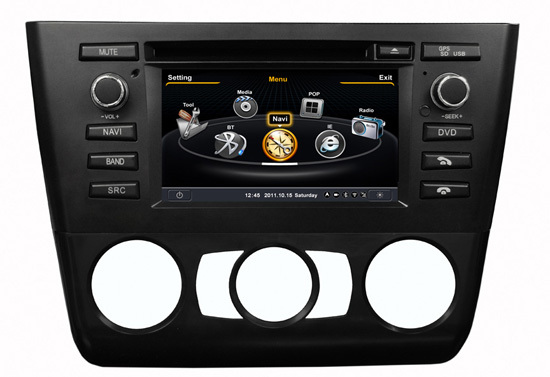 In the increasingly fierce competition market of CAR DVD field, RoadNav launches the S100 platform, with innovative technology, ultra-powerful, comprehensive revision of the hardware and software, which is huge upgrades and change of RoadNav’s marketing. 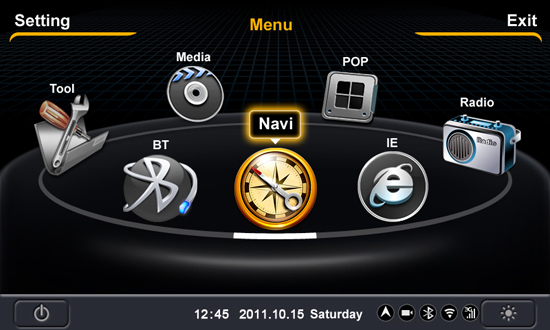 There are 10 outstanding functions of RoadNav’s S100, which including: POP display; camera recording; DVR within high speed; 1080P HD playing; built-in <?xml:namespace prefix = st1 ns = "urn:schemas-microsoft-com:office:smarttags" />4G hard disc, which can be copied among SD/ USB/ 4G hard disc.2-Zone; 20 CD copy; Bluetooth phone book search; 99 radio station preset; 3G\WI-FI big key board input, etc. 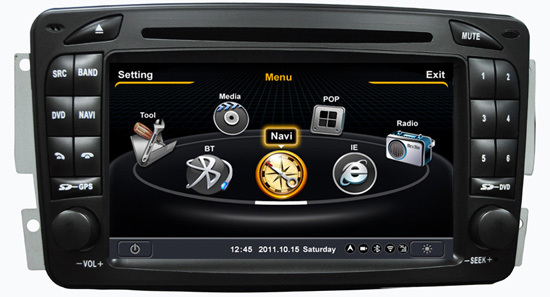 With A8 super-strong chipset, S100’s can handle rapid processing, runing maps smoothly, stable, providing a leading performance and power efficiency within CAR DVD. 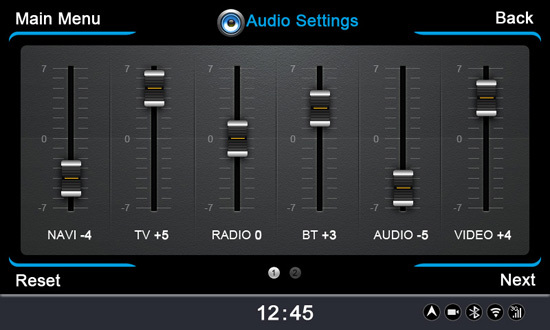 It can bring the user the high level entertainment audio & video experience, just like use PC . High translucent matte anti-glare touch screen, which can be functionality, flexibility and smooth touched. 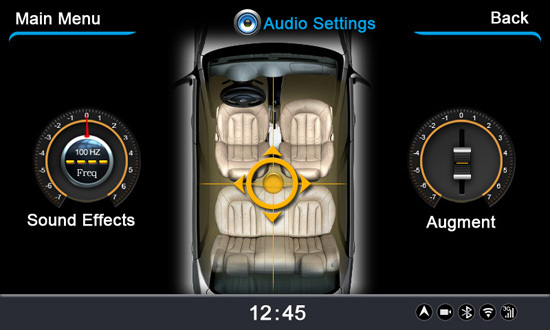 Pofessional automotive intelligent, digital, graphical interactive operations, increase friendliness of man-machine dialogue, bring more practical wonderful experience. S100 of RoadNav uses efficient DSP digital signal processing systems, unique offerings (EQ) balanced audio processing technology, which can obtain standardization and perfection of the audio signal. S100 – with built-in 20 disc storage , which can be played for 7.5 hours! Convenient design, easy operation. With it, enjoy the music, please.